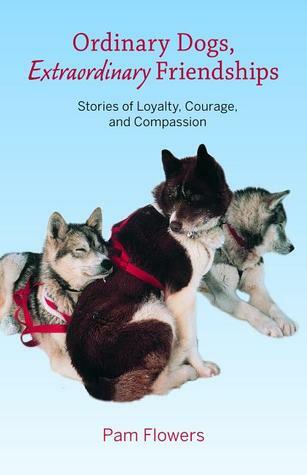 I love these stories- a better written, dog mushing version of Chicken Soup for the soul, but they aren't preachy. The chapters are each one story, and stand alone, which makes me think they'd be helpful in the classroom too as mentor texts and the conversational tone is not intimidating to young readers, and lends itself to a good read aloud. I can see why the author is also a storyteller. I also appreciated the glossary, and the clean, uncluttered illustrations - perfect for a snowy setting.That said, there are problems. A good proofreading should have caught things like "rather then" on page 24, "cirlces" on page 60, etc. There were multiple references to dogs pulling back their lips into a smile, like on pages 70 &119. I am not an expert, by any means, but when my dogs pull back their lips, they are stressed or mad. My dogs don't smile. They show happiness in lots of ways, but not in human ways. I also wanted a few sentences of exposition on how the narrator learned so much about training dogs, and something to wrap up the book after a particularly exciting story. My last qualm is that the ink is shiny on the page and makes it hard to read- I have a trade paperback.All in all, if I could get a hardback copy for my school library, I probably would do it. I picked this book because Xander is into dogs. I loved how each chapter stands alone. If you like good stories about dogs you should read this book. Great stories of amazing bonds between human and canine! A fun read! Read only the first three stories. They just did not grab me for some reason and I like dog stories. These short stories are entertaining and informative about Pam Flower's travels in the Arctic.